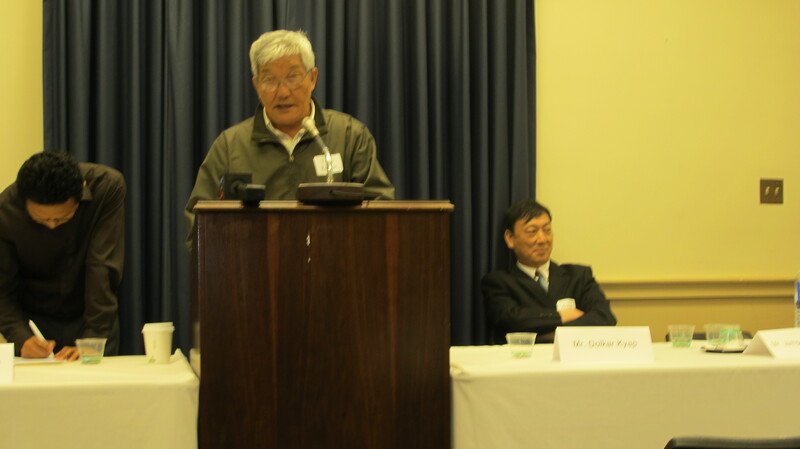 Tibetan Former Political Prisoners Recall Horrors of the Laogai at LRF Conference | The True and Honest LAOGAI Foundation Europe i. Gr. 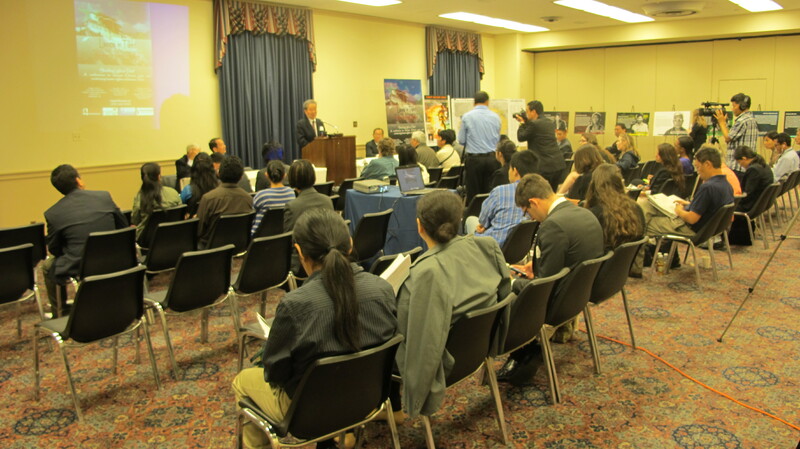 On June 8th, 2012, the Laogai Research Foundation hosted the first day of its “Laogai in Tibet” Conference in the Rayburn House Office Building on Capitol Hill. 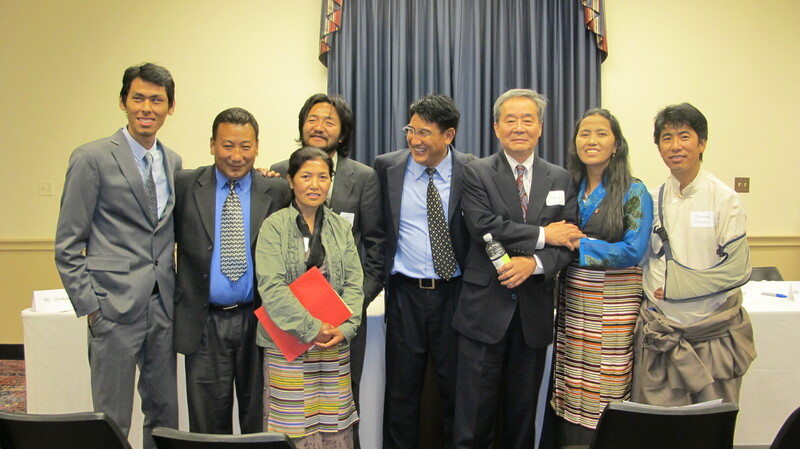 Eight Tibetan exiles (some pictured with Harry Wu below) shared their moving testimonies, which detailed their experiences in the Laogai after protesting, their courage in facing religious and cultural oppression from the Chinese Communist Party (CCP), as well as their long, arduous treks over the Himalayas into India after being exiled from their homeland. 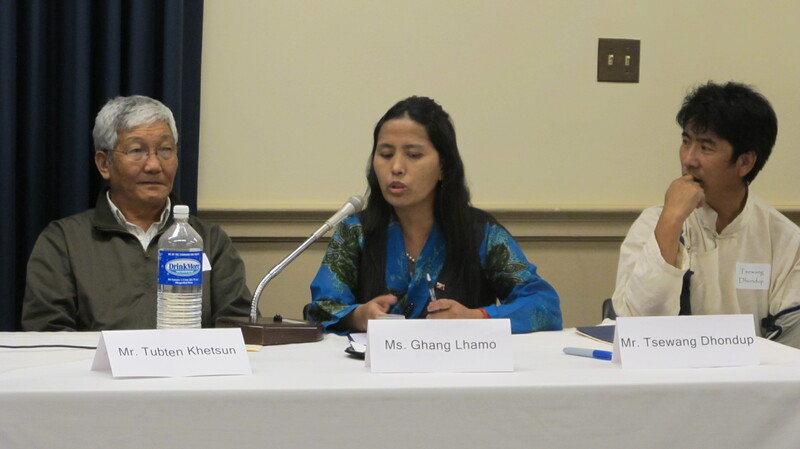 The conference was a once-in-a-lifetime opportunity to hear the stories of survivors, as it was extremely difficult for six of the eight to obtain U.S. visas (Ngawang Sangdrol and Tubten Khetsun live in the United States). Among the speakers were LRF Director Harry Wu, Congressman Frank Wolf (VA-10), Congressman Chris Smith (NJ-4), His Holiness the Dalai Lama’s Representative Lobsang Nyandak, International Campaign for Tibet (ICT) President Mary Beth Markey, and ICT Vice President for Special Programs Bhuchung Tsering. The Tibetan Laogai survivors who spoke were Tsewang Dhondup, Tubten Khetsun, Dolkar Kyap, Ghang Lhamo, Jampel Monlam, Ngawang Sangdrol, and Lukar Sham. In addition to the Members of Congress, several congressional staff were in attendance. The conference commenced with a video of the Director of the Lhasa Police Bureau and 180 police officers surrounding Drepung Monastery, in order to find “terrorists” amongst the monks and nuns and detain them. This film is evidence that in the Tibetan “Autonomous” Region, the peaceful demands of the Tibetan people are met with violence, and the monks and nuns who spend their days studying the pacifist Buddhist religion are met with oppression. 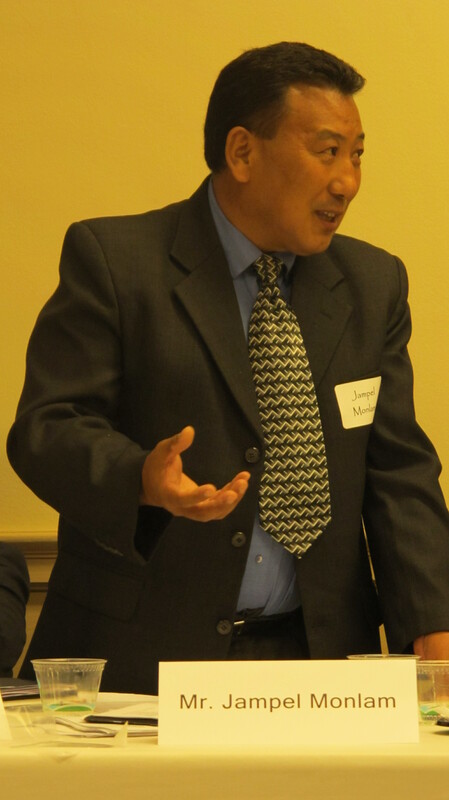 Lobsang Nyandak (pictured above), Representative of His Holiness the Dalai Lama, stated that the purpose of the conference was to show that Tibetans are not pleased with the policies of the CCP, which encroach upon their basic human rights. The CCP is trying to indoctrinate its anti-religious, anti-Tibetan, and pro-Beijing beliefs in Tibet’s schools, cities, and monasteries through coercion and intimidation. 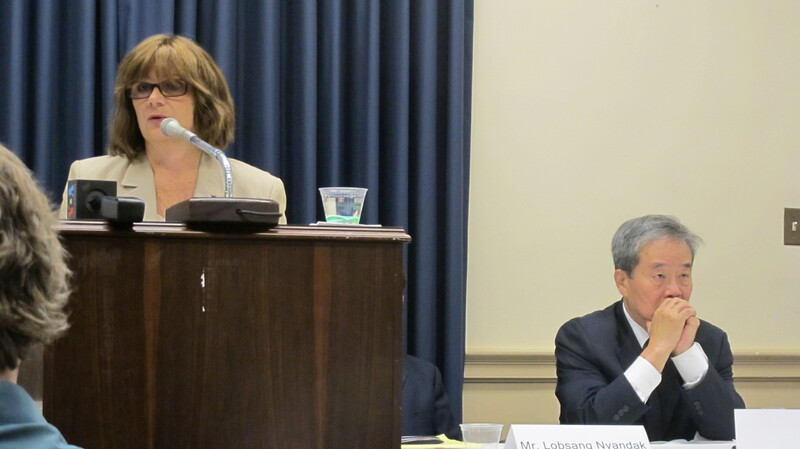 Mary Beth Markey (pictured above), president of the International Campaign for Tibet (ICT), said that the noted absence of State Department officials at the conference was indicative of the U.S. government’s approach to Tibet. She emphasized that their participation is crucial in securing the release of any political prisoner, including Tibetans. Markey also recounted that in a recent meeting to discuss human rights, representatives of a global power gave the Chinese a list twelve political prisoners, including some Tibetans, seeking their release, but China’s only response was that the list was too long. She pointed to this incident as evidence that world powers need to do more to stand up to Chinese leaders both in public and in private. 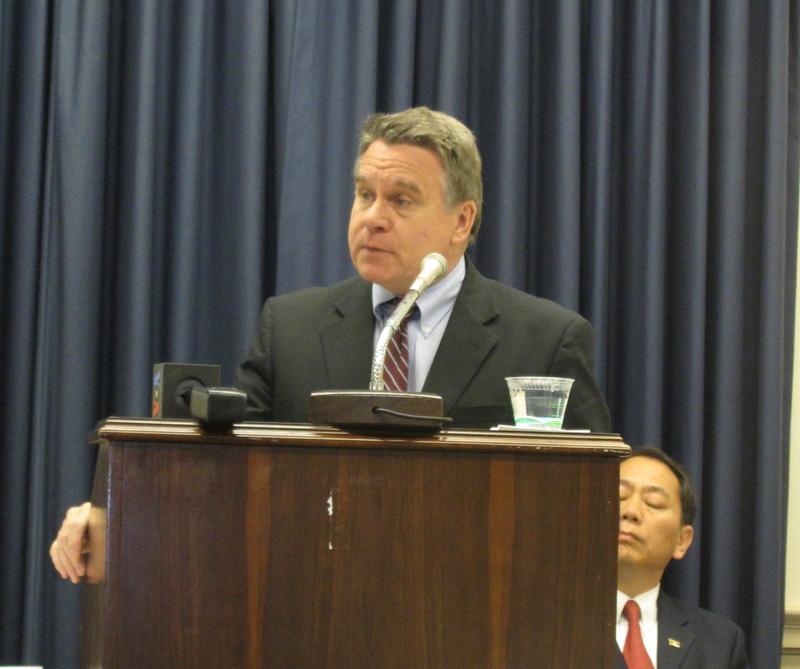 Congressman Chris Smith (pictured above) has been a champion of international human rights issues for 32 years. 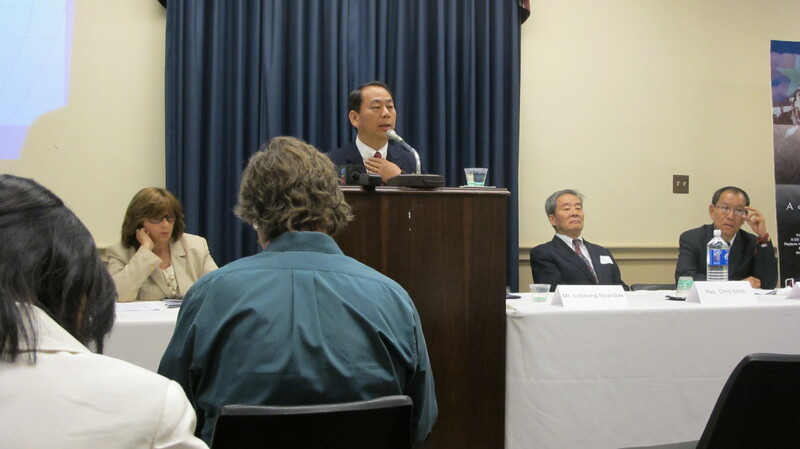 He said that the severity of the Laogai can be compared to Nazi concentration camps. He proclaimed that the CCP’s violent destruction of Tibet was cause enough for sanctions under the International Religious Freedom Act, but that the U.S. lost any moral leverage over China when President Clinton delinked human rights and trade policy in 1994, by removed human rights improvements as a condition for renewing China’s Most Favored Nation trade status. 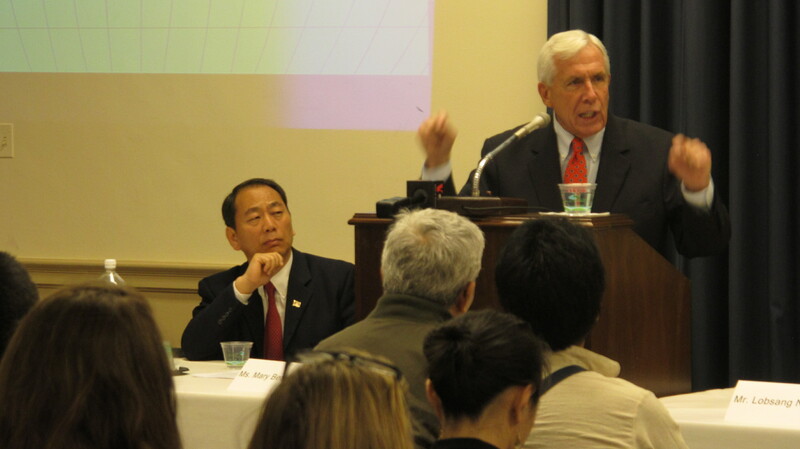 Both Congressmen Wolf and Smith visited Beijing Prison 1, one of thousands of the vast Laogai system. They took a pair of jelly shoes from the prison and found an identical pair in a store when they returned to the U.S.
Nearly all of the Tibetan exiles in attendance had been unjustly detained and arrested for peaceful protest, and suffered physical torture and mental abuse while serving their sentence in the Laogai. 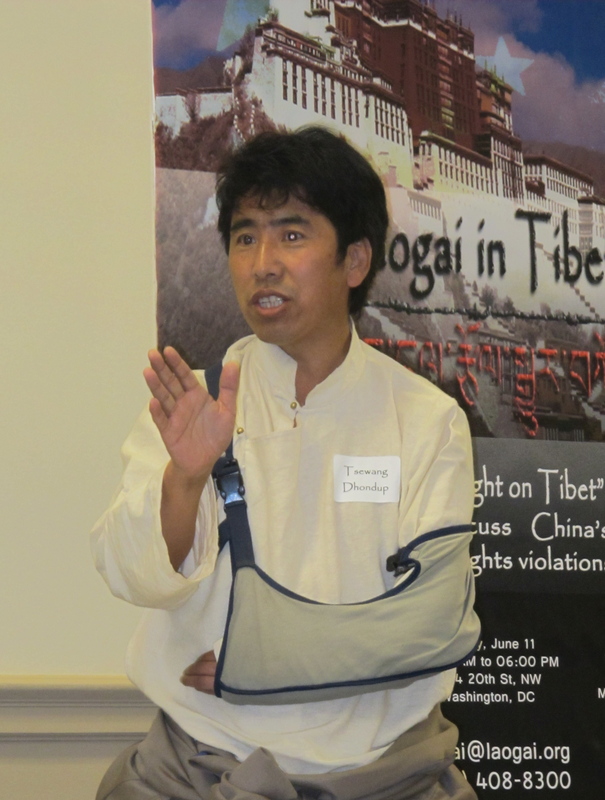 Tsewang Dhondup (pictured above) can no longer use his left arm after being shot by Chinese police while trying to help an injured Buddhist lama amid the March 2008 unrest. He also has scars from bullet wounds on his stomach, side, and back. Although initially he was not able to seek medical attention while in the Laogai, he still refuses to do so, as he believes that his arm and scars are a testimony and evidence of China’s oppressive policies and the injustices of a corrupt government. Tubten Khetsun (pictured above), the eldest of the panel, was arrested during the 1959 Tibetan uprising against China, a protest to protect the Dalai Lama and to prevent China from invading Tibet. 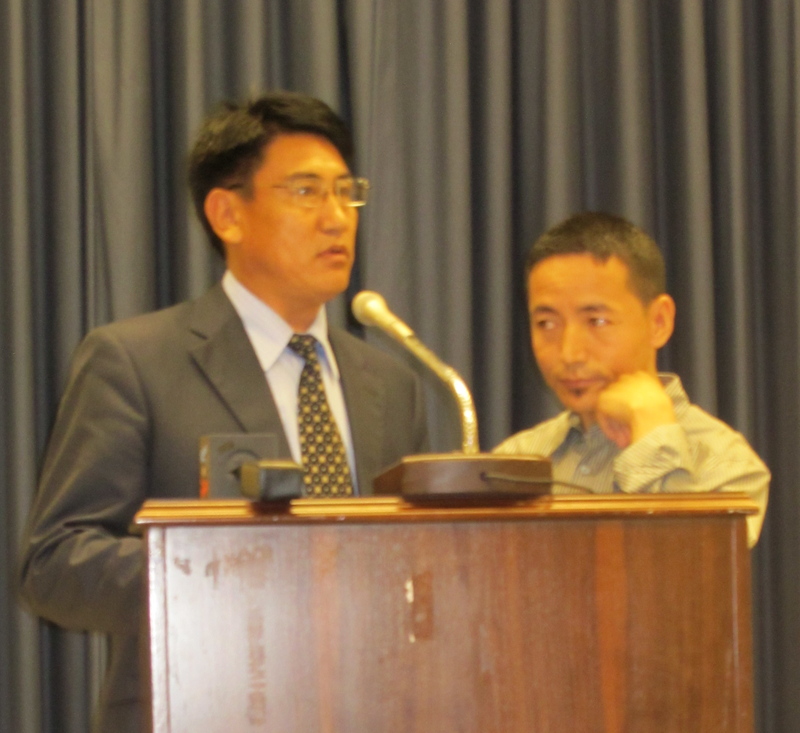 Dolkar Kyap (pictured above, with translator at his left) was arrested in 1996 for passing out CDs of the Dalai Lama speaking and for putting up Tibetan independence posters while attending Northwest University for Nationalities in China. He recorded his experiences during his three years in the Laogai by writing secretly on cigarette cartons, which he later used to publish his book Prison Records. A replica of the cartons is exhibited in the Laogai Museum. Ghang Lhamo (pictured above) was arrested in 1990 on suspicion of being a “counterrevolutionary” and for “spreading false information”; she spent three years in Laogai. She is currently the general secretary of the Tibetan Gu-Chu-Sum Movement in Dharmsala. Jampel Monlam (pictured above) was a member of the Drepung Monastery and was also arrested for participating in a “counterrevolutionary” protest calling for Tibetan independence in 1989. He served five years in prison, and was expelled him from his monastery after his release. He is now the vice president of the Tibetan Center for Human Rights and Democracy. Ngawang Sangdrol (pictured above) was sentenced to prison when she was only fifteen years old, and was subjected to various methods of torture at the hands of prison officials. While imprisoned, she composed songs and various other works relating to Tibetan independence, which you can hear in the Laogai Museum. Her sentence was extended as a result, and she ended up serving 11 years. Lukar Sham (pictured above) was originally sentenced to seventeen years in prison for peacefully protesting in 1992, but only served four years as a result of his poor health. He was released for medical treatment because he weighed a mere 81 pounds. 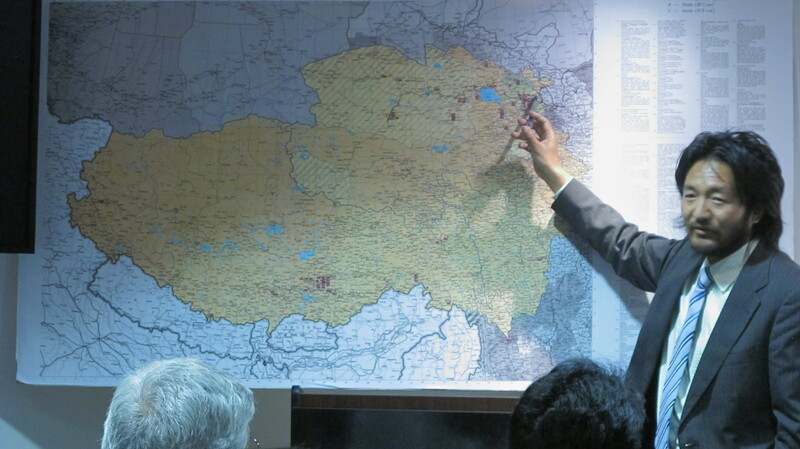 Sham is currently vice chairman of the Tibetan Gu-Chu-Sum Movement in Dharmsala. 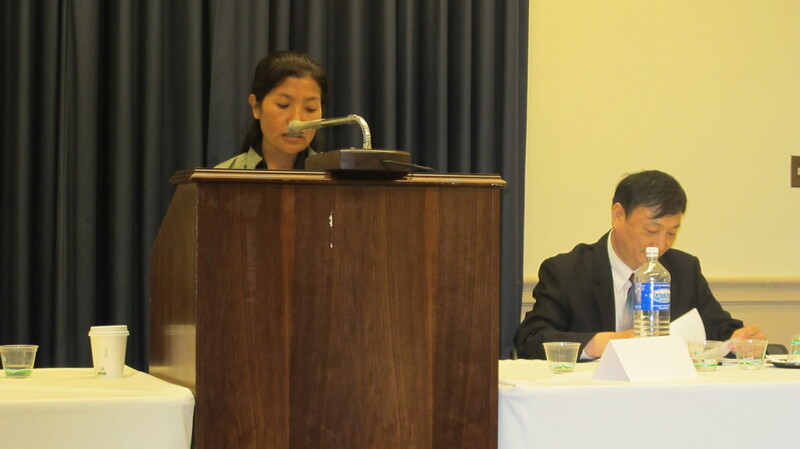 On Monday, June 11th, the Tibetan survivors shared their same stories in a round-table discussion at the Laogai Museum. The intimate setting allowed attendees to ask the survivors questions during their testimony and during the group lunch. ICT Vice President for Special Programming has written an article about his experience on this second day. The Laogai Research Foundation would like to thank the International Campaign for Tibet, the Lantos Foundation for Human Rights and Justice, and the Victims of Communism Memorial Foundation for making this conference possible. We would also like to thank those who attended for supporting the fight for Tibetan human rights, as well as for those who are still suffering in the Laogai in Tibet and all of China. To read the statements of the Tibetan survivors and the sponsors’ Joint Declaration on the Current Situation in Tibet, please see our event page.